During our communications with you over the last several years we have tried to be proactive in notifying you of changes in the law created by the Affordable Care Act. Reporting and compliance have been huge issues. Now comes the challenge to all of you as the government cross references. We recently learned that CMS (Centers for Medicare & Medicaid Services) has started to send out letters to employers (sample below) notifying them if their employee/s has enrolled in the Marketplace and receives a Tax Credit and Cost Sharing Reductions. All size employers have the possibility of receiving this letter. Please remember that those employers with less than 50 full time equivalents (FTE) are not required to offer “affordable coverage” or “minimum essential coverage (MEC)”. Those employers that have 50 or more FTE are required to offer MEC (all of the plans we sell meet this requirement) and the plan has to be affordable (the payroll deduction amount needs to be at 9.5% or lower of an employee’s income). Employers that had 50 or more FTEs in 2015 already filled out reports attesting to covered employees (and family members) in 2015 with forms 1094 or 1095. It is very important for all employers who get this notice to fill it out and return it to The Marketplace, and it is essential that large employers show that those employees were offered coverage through the appeal process. Q. What is the employer notice program? 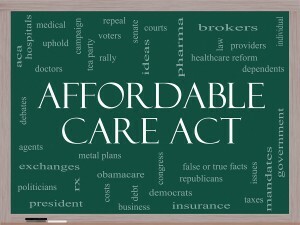 The Affordable Care Act and implementing regulations require each Health Insurance Marketplace to notify any employer whose employee was determined eligible for advance premium tax credits (APTC) and cost sharing reductions (CSRs) because the employee attested that he or she was neither enrolled in employer sponsored coverage nor eligible for employer coverage that is affordable and meets the minimum value standard. Starting in 2016, the FFM will notify certain employers whose employees enrolled in Marketplace coverage with APTC. The FFM will send notices to employers if the employee received APTC for at least one month in 2016 and if the FFM has an address for the employer. Q. How is the FFM implementing the employer notice program in 2015? The FFM is phasing-in the employer notice program to improve operational efficiency and minimize confusion for employers and employees. In 2015, the FFM has been focusing on educating the public about the employer notice and appeals requirements, as well as conducting outreach to stakeholders to ensure effective implementation of the program. The FFM will begin sending notices to certain employers in 2016, and will expand to more employers in later years. As part of its efforts at public education in 2015, the FFM has used assister channels and consumer outreach to explain to consumers the importance of attesting correctly to eligibility for or enrollment in an employer sponsored plan. We have emphasized the benefit of using the employer coverage tool and continue to examine ways to make it a more useful tool for consumers. Additionally, CMS representatives have met with various employer groups and large- and small- business stakeholders to discuss their concerns related to the employer notice and appeals process. These meetings have helped shape the program we will implement in 2016. Q. Will employers be liable for the employer shared responsibility payment for 2015 if a full-time employee receives a premium tax credit for coverage received through a Marketplace in that year? Yes. The IRS will independently determine any liability for the employer shared responsibility payment without regard to whether the Marketplace issued a notice or the employer engaged in any appeals process. More information on the IRS process can be found at www.irs.gov. Q. Which employers will be notified through the employer notice program in 2016? In 2016, the FFM will send notices to employers whose employees received APTC in 2016 and whose employees provided the Marketplace with a complete employer address. 1. The guidance describes the process that will be used for all states operating on HealthCare.gov, including FFM states and SBMs using the federal platform. 2. The notice will identify the specific employee and include a statement that the employee is enrolled in Marketplace coverage with APTC. The notices will not contain the employee’s personal health information or federal tax information. For 2016, the FFM will not notify employers when an employee who was benefiting from APTC or CSRs terminates Marketplace coverage. Q. How does this affect SBMs? SBMs have the same flexibility to phase in their employer notices process in an effort to enhance operational efficiency and improve stakeholder engagement. SBMs will continue to have the option to refer employer appeals to the HHS appeals entity. Q. When can employers expect to receive notices? The FFM will send notices in batches. We expect to send the first batch in spring of 2016, following the close of Open Enrollment for the 2016 coverage year. This will likely be the largest batch of notices as it will include employers whose employees enrolled in Marketplace coverage with APTC during Open Enrollment which ends on January 31, 2016. The FFM will send additional batches of notices throughout 2016. Q. Can employers receive notices by email or to a designated address? For 2016, the FFM will send notices to the mailing address of the employer provided by the employee on his or her application for Marketplace coverage. As the FFM continues implementation of the employer notice program, it will consider alternative ways of contacting employers. Q. What happens if the employer wants to appeal an employer notice from the FFM? An employer may appeal an employer notice and assert that it provides its employee access to affordable, minimum value employer sponsored coverage or that its employee is enrolled in employer coverage, and therefore that the employee is ineligible for APTC. If the employer is successful, the FFM will send a notice to the employee encouraging the employee to update his or her Marketplace application to reflect that he or she has access to or is enrolled in other coverage. The notice will also explain that failure to update the application may result in a tax liability. Q. How does an employer submit an appeal of an employer notice to the FFM? They may also fax their appeal request to a secure fax line: 1-877-369-0129. Q.When will CMS implement the process for all employers? We intend to evaluate the employer notice program phase-in for 2016, and determine the best means of expanding and improving that process in subsequent years. We will keep all relevant stakeholders aware of our plans and progress as it develops. 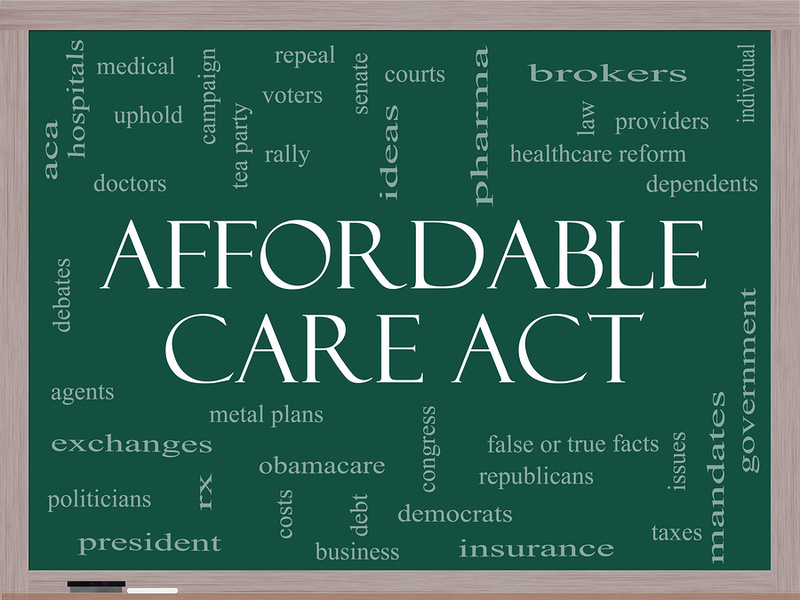 For more information on the Affordable Care Act and its ramifications, contact Roy Sturm at Roy@lintonandassociates.com or call 505-247-1530.